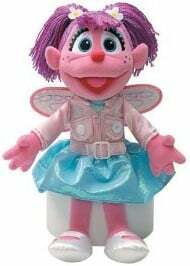 The Gund Teach Me Abby Cadabby is priced at $20.14. That's 42% off the regular price of $35, and the lowest price we've seen on this highly-rated toy since April! Two Day Shipping is free with Amazon Prime, or if you spend $25 or more you'll get free Super-Saver shipping!